Coaches use DISC to understand the catalysts for micromanagement. Understanding behavior is the first step to creating effective coping strategies. If you’ve been in the workforce for any length of time, you may have been micromanaged or have practiced micromanagement at one time or another. If you don’t realize your own potential for micromanaging, that’s okay; few do because it’s a blind spot for many (Behavioral blind spots are a part of every DISC style. Learn more here). Micromanagement is actually more prevalent than you may think, according to a study showing 79% of workers said they had been micromanaged by previous managers. If you are a manager, you might justify any gratuitous checking, changing, or fixing by declaring “the company’s reputation, our department’s goals, or my job is on the line.” But before you discount your own potential for micromanaging, keep in mind the practice is rather widespread, as well as ineffective and inherently counterproductive. It’s not surprising then that micromanaging is part of our “Dealing with Difficult Behavior” series. Workforces of the past may have benefited from tighter controls, but younger millennial-minded generations today won’t respond well to the authoritarianism effective in the 1950s. A study by The Australian Leadership Foundation says 42% of Generation Y’s surveyed reported that poor management and leadership was a key reason for leaving their previous role. Younger people want to be pointed in the right direction, not “preached at” and expect greater feedback, less silos, and more collaboration with their managers. It may be obvious, still a study finds people who believe they are being watched perform at a lower level. 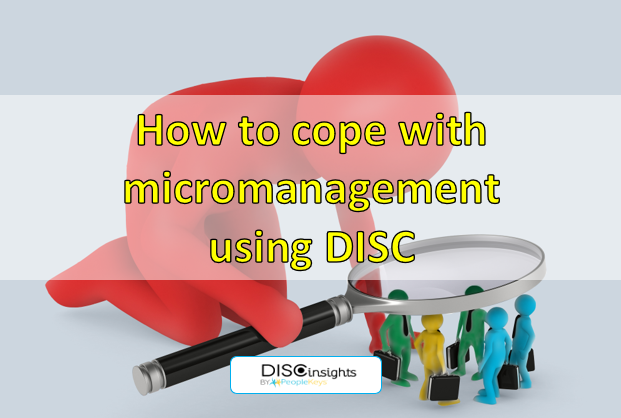 To find coping strategies for both the manager and the people they manage, coaches use DISC to understand the impetus for micromanagement: a first step in increasing morale and productivity. We may vilify micromanagers as people who set out to purposefully disrupt business processes. We may believe they think they are better than others, control freaks, or wet-blankets, but these labels are too simplistic and just not true. No one sets out to consciously micromanage. Rather, it’s a natural response rooted in behavioral fears, and no one is exempt from this latent capacity. Being aware of what’s behind it is the first step to combating it. A person’s DISC graphs will reveal strengths but also the intensity of hidden fears. When we talk about fears, we don’t mean spooky fears but rather insecurities, the shadow side of strengths. 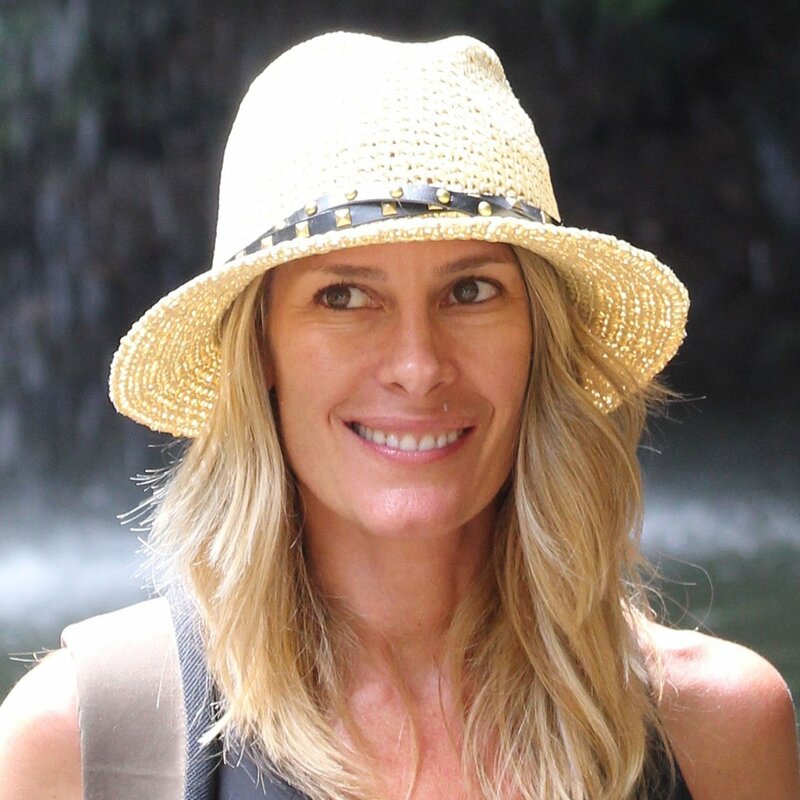 What makes us great also exposes our greatest vulnerability. For example, a “D” style may excel when respected or when in control, but when their ideal environment is threatened, what happens? They become insecure, and compensation can take the form of micromanaging tendencies. If the D increases: May become increasingly impatient with people and time frames or overly unrealistic because they’re not detail-oriented. Increases focus on “what,” with no regard to “how.” Becomes harsh, blunt, and stubborn in effort to gain control. Non-empathetic in dealing with overly-sensitive or overly-detailed people. One-way communication, having the last word, and not allowing input. Unconsciously causing chaos or change because they operate effectively under chaos and change. Exercising authority unnecessarily when they perceive loss of control. Not delegating because of difficulty passing responsibility, control, or power onto another. Afraid to empower as it threatens their sovereignty. If the I increases: May become idealistic or adopt an overblown view of outcomes, goals, abilities, or timelines. Can become overly optimistic, believing the impossible is possible. Can try to “explain” their way out of non-performance, shifting focus with a heightened ability to influence or manipulate. Lack of focus on details but can grandstand or “oversimplify” or “over-commit” outcomes, details, roles, and time frames. Can miss facts or details important to the project and overall effectiveness. If the S increases: May become overly sensitive, overly accommodating, or indecisive. May become too passive or fearful, causing them to acquiesce to stronger personalities or cave to pressures. May become possessive when they fear loss of security of their role or process, which can lead to passive-aggression or manipulating out of fear of direct confrontation. Slowing down processes to thwart change and maintain status quo. If the C increases: May become critical of others’ work, perfectionistic, or overly sarcastic. May become untrusting in others, requiring proof and facts. May ask for or require unnecessary information. May exert more control or not want to share control or empower others, fearing loss of their expert status. They know they are capable, but they may fear their team unable to perform up to their expectations, and they will be indirectly criticized. How do you know if you are micromanaging? People return from lunch to find that you have finished their project for them or assigned it to someone else. You instruct others on how to be better organized while your own office is in chaos. You are constantly directing others to fix problems and put out fires that you created yourself. Delegating authority to others is as painful as gnawing off one of your own limbs. Micromanagement is all about interference and disruption, generally out of some perceived fear or insecurity. It becomes troublesome when a manager’s influence and involvement begin to subtract value from people and processes, which eventually affects morale and productivity. Empower others rather than just delegating to others. Lead others rather than simply managing others. Use ongoing coaching rather than annually reviewing your team. The above talent management strategies are gaining popularity and success in today’s prosperous employee-centric companies. These have been found to increase morale and retention, as well as productivity. To utilize DISC to coach managers to improved understanding and increased morale, read more about how self-aware leaders are more effective leaders. 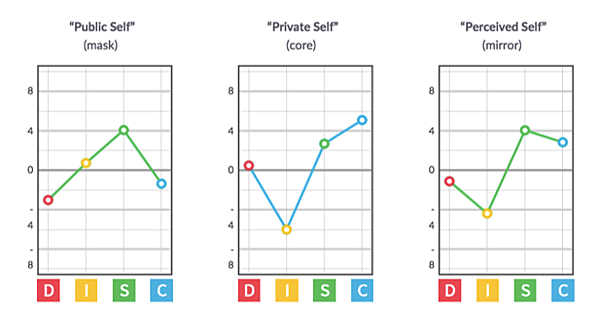 To maximize your DISC graph-reading skills, start with finding your Personality Style.